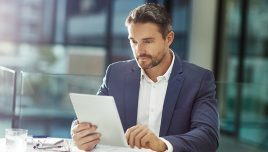 While the usage of Bloom’s Taxonomy (BT) to nail the learning outcomes has been used for training over several decades, the Revised Bloom’s Taxonomy (RBT) brings in an added dimension that enables it to be used more effectively to design eLearning. In this blog, I touch upon the basics of Revised Bloom’s Taxonomy (in contrast to Bloom’s Taxonomy). Then I move on to showcase how can you use RBT to design the learning architecture of eLearning courses. Specifically, I touch upon how you can use RBT to bring in behavioural change. What are the changes that were made to Bloom’s Taxonomy to create the Revised Bloom’s Taxonomy? The figure illustrates the revised structure. For an easy reference, the Bloom’s Taxonomy is shared along side. Let’s see both these revisions in detail. Remembering: Recall information and exhibit the memory of previously learned material, information or knowledge (could be facts, terms, basic concepts or answers to questions). Understanding: Demonstrate understanding of facts and ideas by organising, comparing, translating, interpreting, giving descriptions and stating the main ideas. 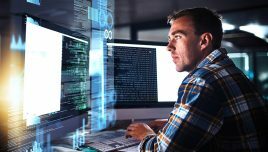 Applying: Use information in new or familiar situations to resolve problems by using the acquired facts, knowledge, rules and techniques. Analysing: Examine and slice information into portions by understanding causes or motives; make inferences and find evidence to support generalisations. Evaluating: Express and defend opinions through judgements about information, authenticity of ideas or work quality, according to certain criteria. Creating: Organise, integrate and utilise the concepts into a plan, product or proposal that is new; compile information together in a different way. 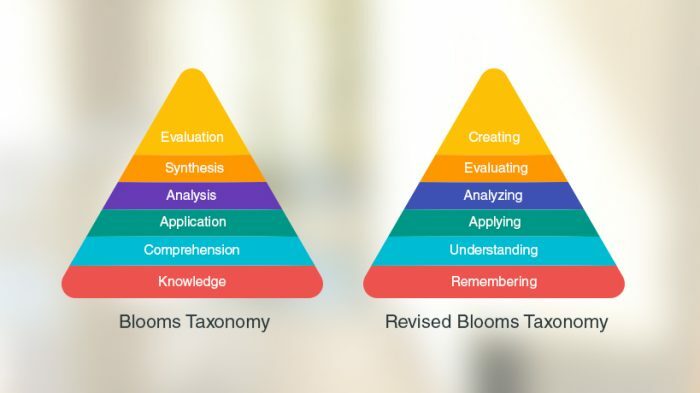 How can Revised Bloom’s Taxonomy (RBT) be used in designing eLearning courses? The learning architecture of the eLearning course is crafted using RBT. 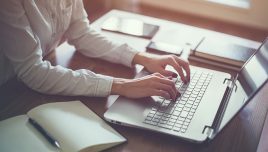 RBT guides the creation of an online learning solution based on the kind of knowledge and the level of cognitive/affective complexity of the course. The process of mapping the course creation to RBT ensures the learning experience is crafted as per an accepted and ratified framework. It also allows more time to craft an engaging online learning experience. During the initial phase of a project life cycle, appropriate Revised Bloom’s verbs are applied to write the Terminal Learning Outcomes (TLOs) and the Enabling Learning Outcomes (ELOs) of the course. Once the TLOs and ELOs have been determined, the RBT also guides in determining the presentation style for individual frames in the content. NOTE: The second aspect is the significant value-add that RBT provides to create eLearning courses. We can tag the content to various content types (Fact, Principle, Process, Procedure and so on). Looking at the nature of the content, we can identify how it should be presented in the online format (as static information, an interactive frame or a knowledge check that reinforces learning or validates the required cognition level). Can Revised Bloom’s Taxonomy (RBT) be used to create or impact behavioural change? The Affective Domain addresses interests, attitudes, opinions, appreciations, values and emotional sets. Please refer to the table that lists the action verbs corresponding to the Affective Domains that can be used to create the learning objectives in eLearning courses. I hope this blog gives you the required cues on what is Revised Bloom’s Taxonomy (RBT) and, in contrast to Bloom’s Taxonomy (BT), how is it more effective in creating the learning architecture of eLearning courses. Want more insights on the Revised Bloom’s Taxonomy (RBT) and how to use it to design eLearning courses? Schedule a call with our Solutions Architecting Team. Additionally, you can take our online course on Instructional Design Fundamentals, one of the 15 Instructional Design courses from the first suite of our ‘InSight’ product line. For more details and to buy the course, click here.